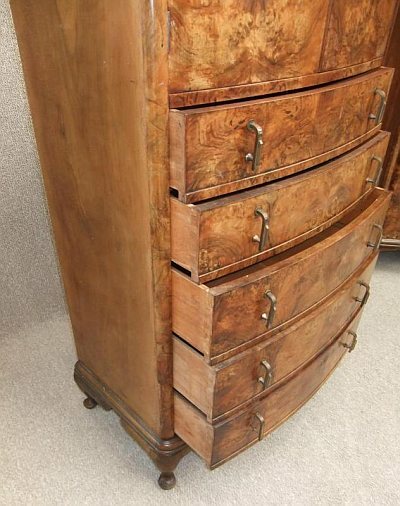 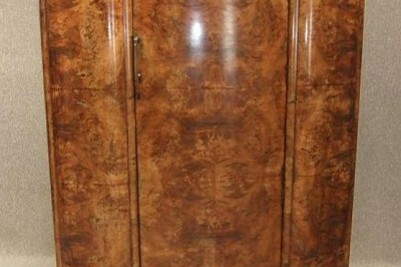 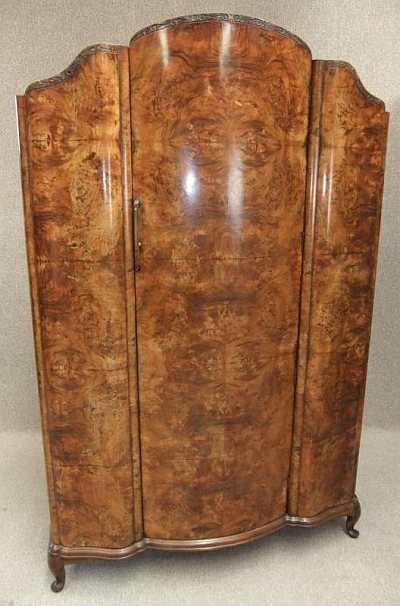 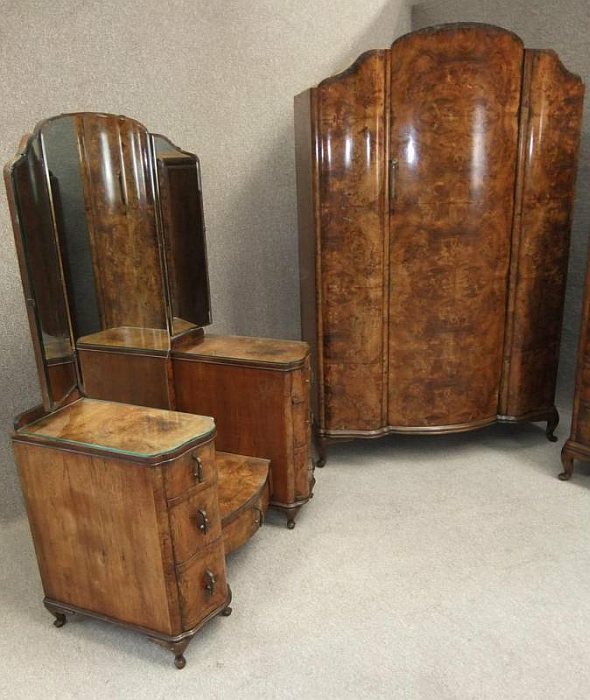 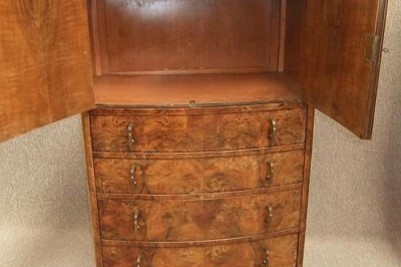 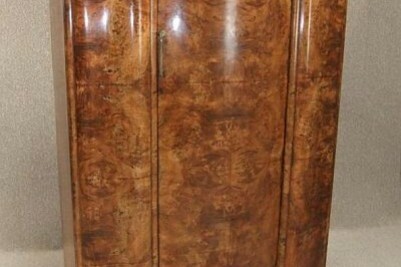 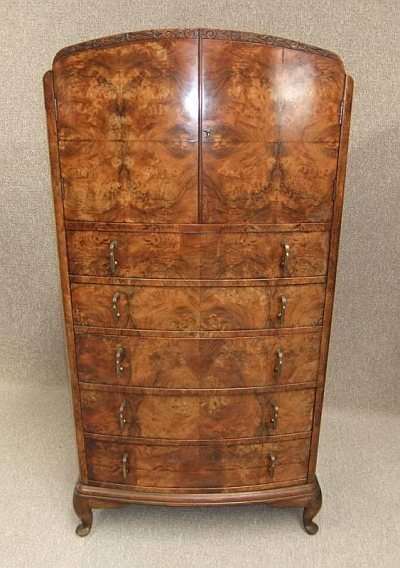 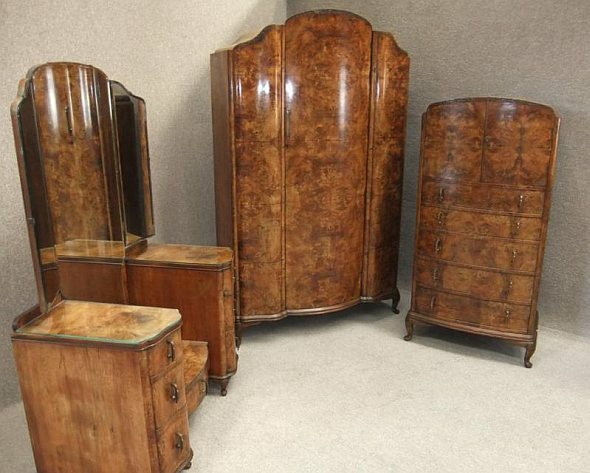 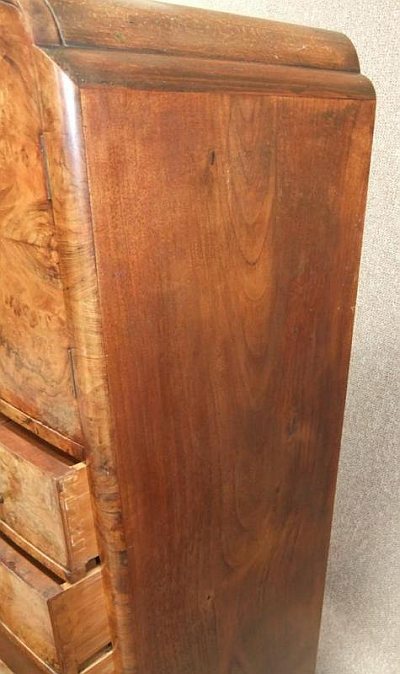 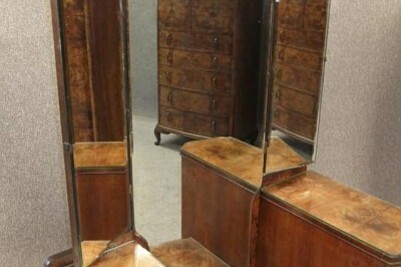 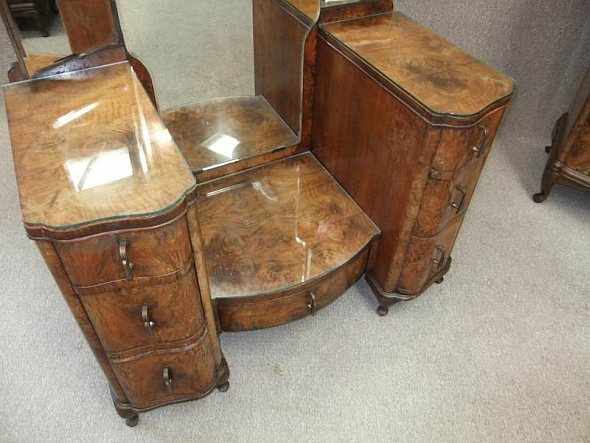 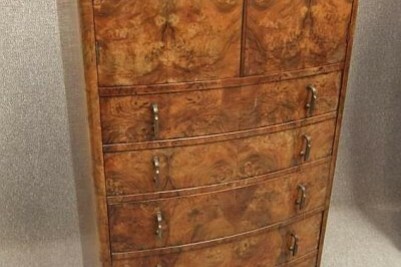 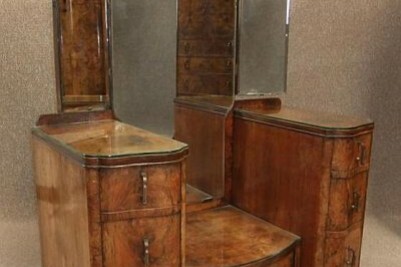 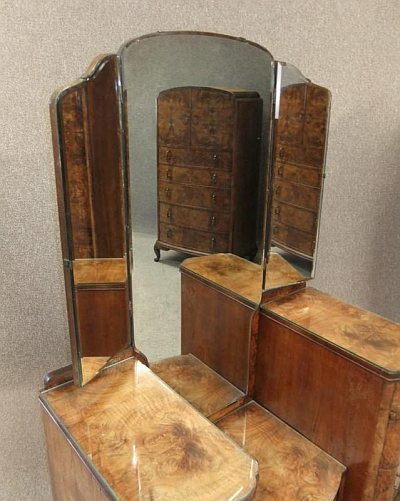 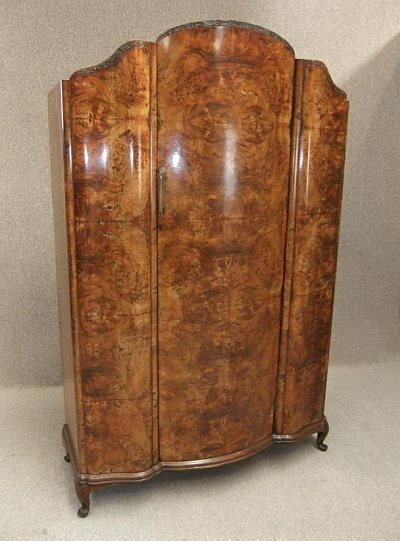 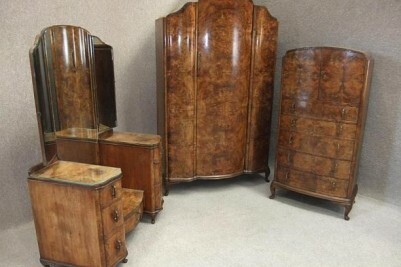 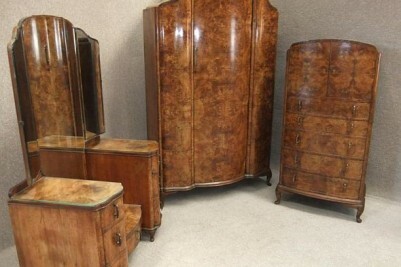 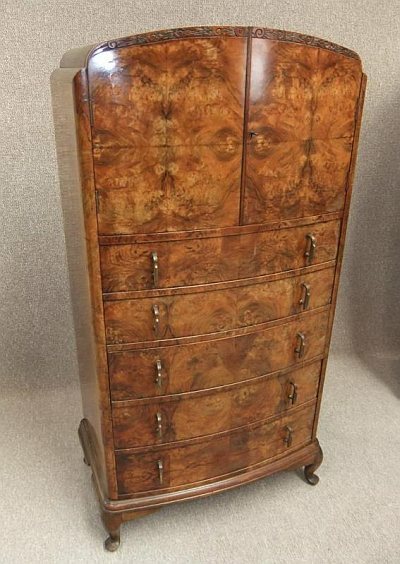 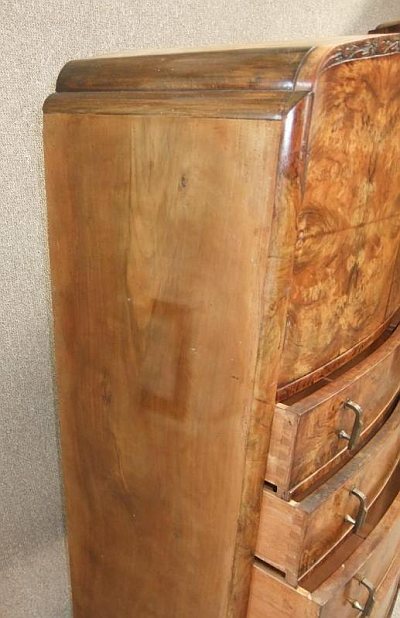 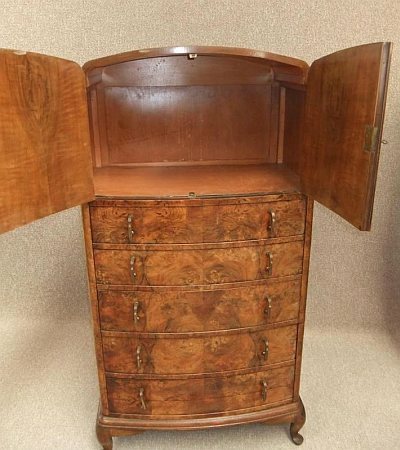 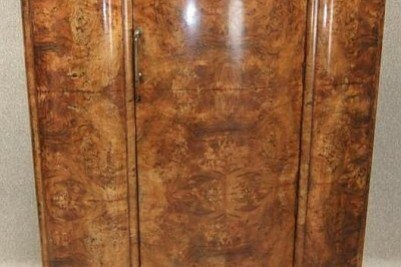 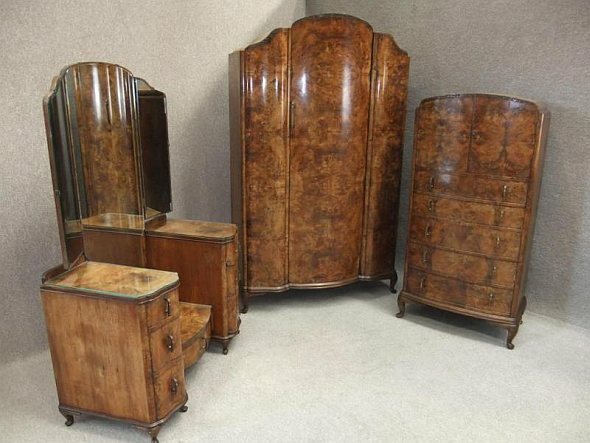 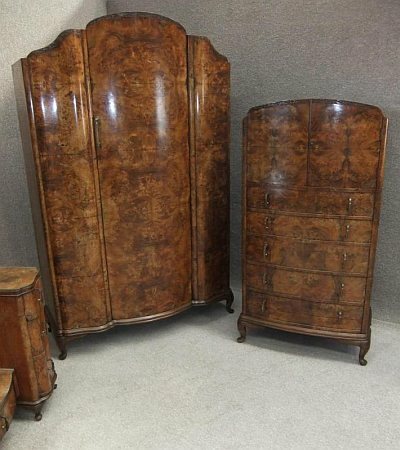 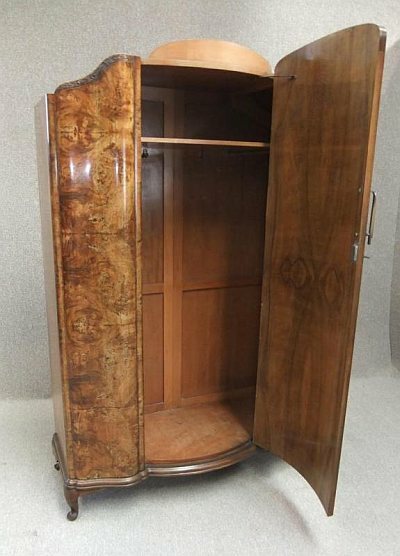 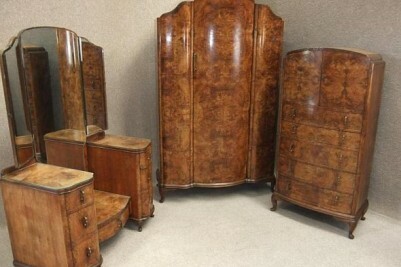 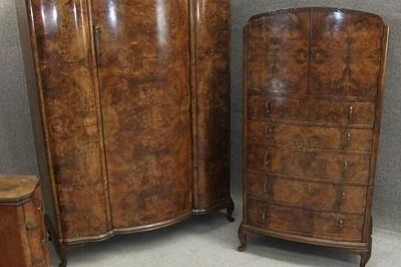 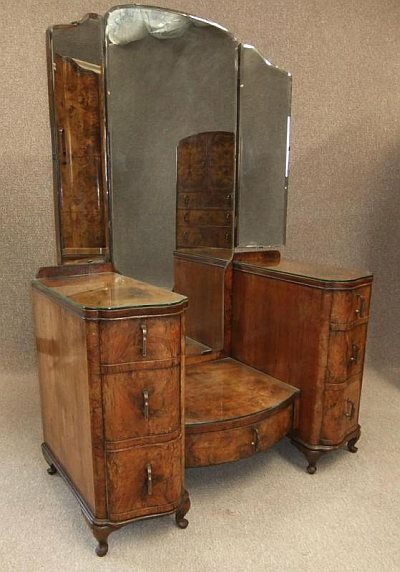 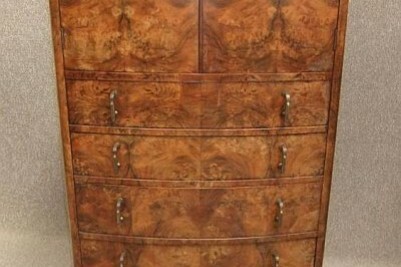 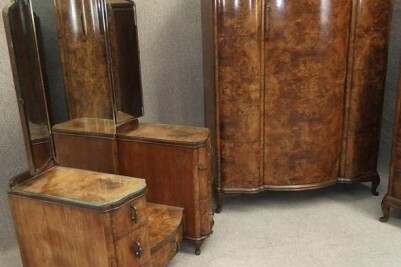 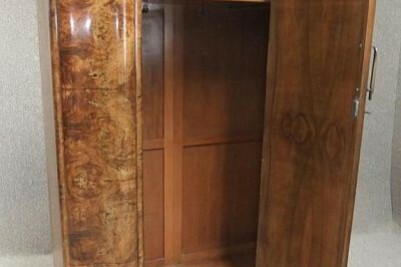 Burr walnut Art Deco bedroom suite; an exciting addition to our large range of antique furniture. 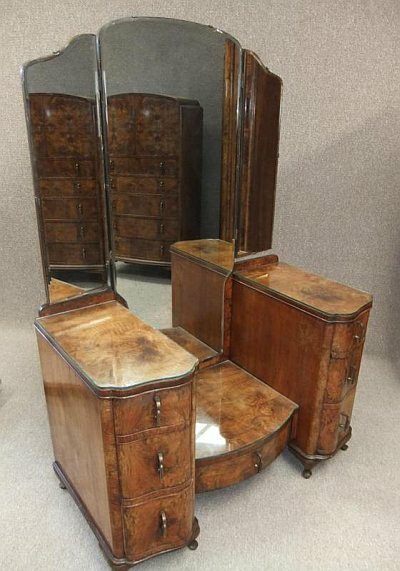 This beautiful 1930s bedroom suite comprises of a large serpentine shaped single door wardrobe, an elegant tallboy with cupboard to top and a bank of six graduated drawers, and a triple mirrored serpentine fronted dressing table featuring a multitude of drawers. 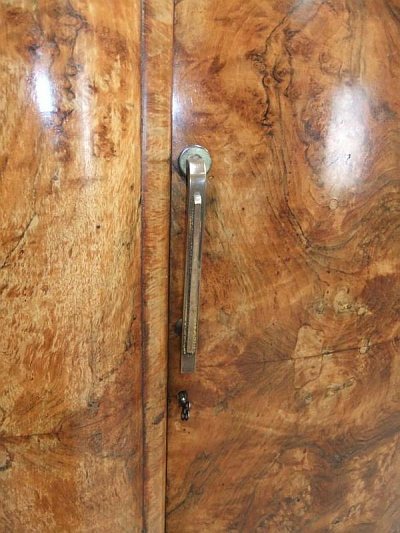 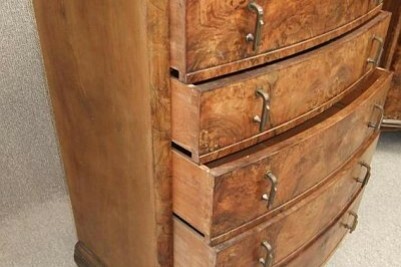 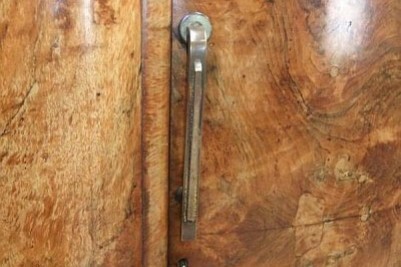 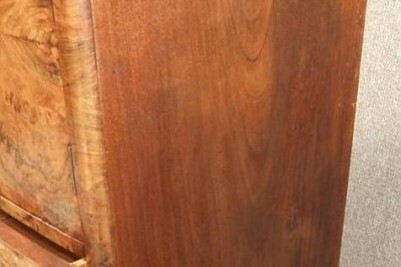 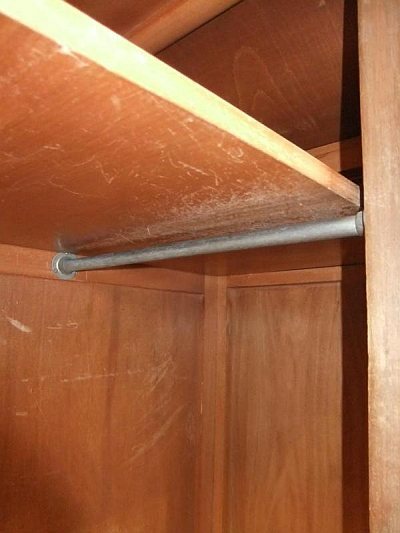 All of these items are fitted with their original handles, and both wardrobe and tallboy still retain their original keys. 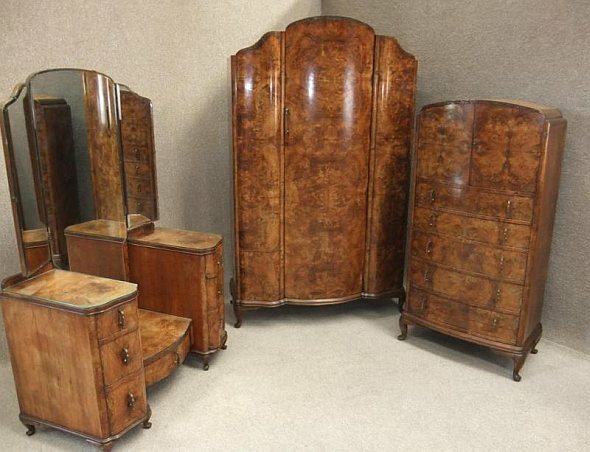 This is an ideal collection for any period art deco bedroom. 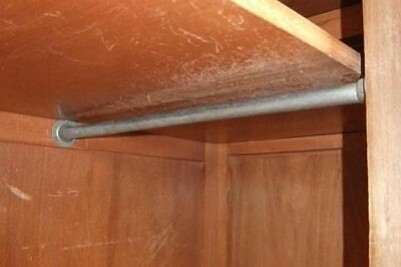 As you can appreciate, over a period of time, this item has been used on a daily basis. 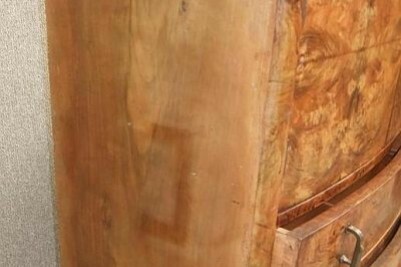 There is some wear and tear to the polish work, and there is also some fading to the side of the tallboy. 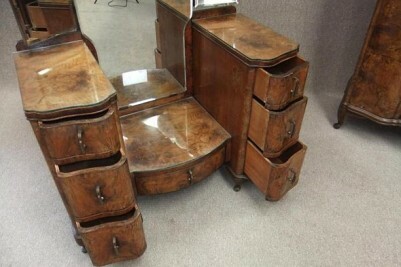 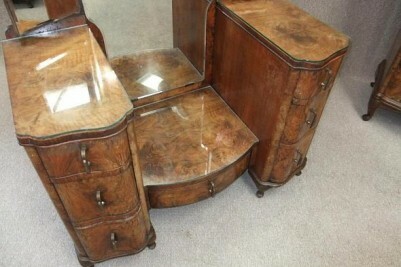 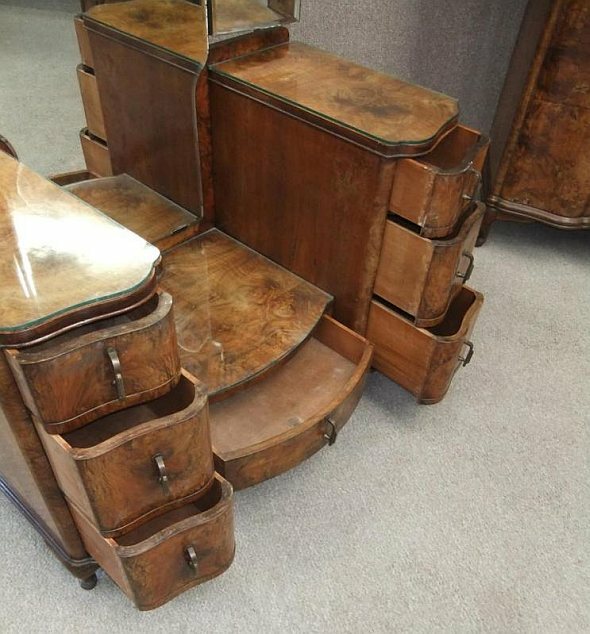 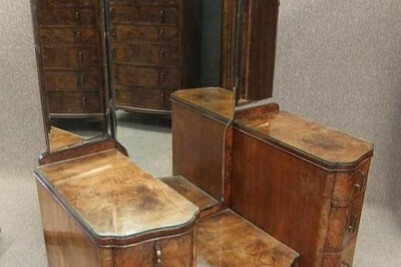 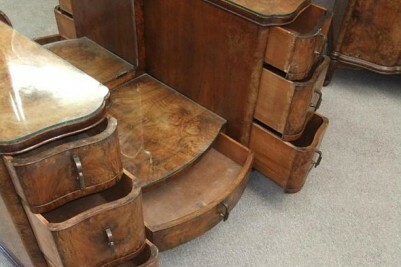 This still remains an outstanding set of quality Art Deco furniture. 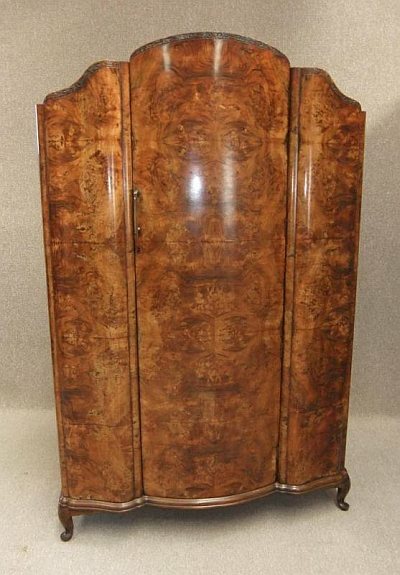 Height: 78.5" Height: 60.5" Height: 65"
Width: 51.5" Width: 32.5" Width: 44"
Depth: 21.5" Depth: 18.5" Depth: 23"